Who knew that so many gorgeous prints could work together with such a pretty result. I think the mainly white background and the blues and pinks anchor the design. The doll, the blue rocking chair, the layers of pretty fabrics – the textures and colors in this Swedish designer’s bedroom make it so cosy and inviting. 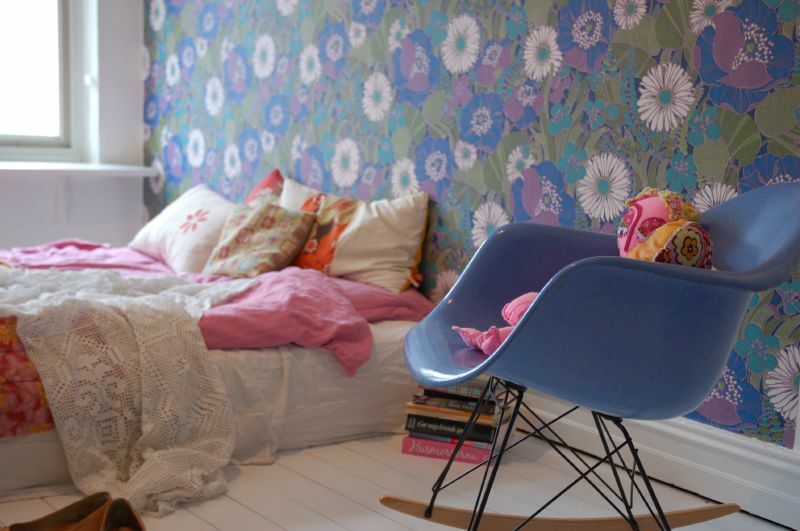 This entry was posted in Lovely Ideas and tagged bedroom, blue, floral, Nordic, pink, pretty, prints, rocking chair, room, Swedish, White. Bookmark the permalink.